Bio-Baba, the proudly South African hemp nappie, has joined our supporters club! We are very proud have Vicki and the team as part of the Recycled Inc family. We have also become proud agents of Bio-Baba and will offer Recycled Inc customers the full Bio-Baba service! Contact us for further info about these wonderful, local is lekker hemp nappies! 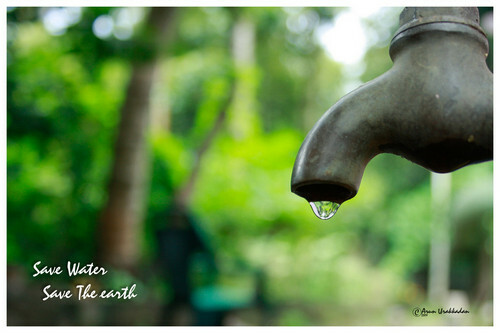 Grey Water – Do We Waste? We recently bought our first home, amazingly one only notices how much water, electricity etc you use once you have to start paying some of your hard-earned cash for it! I am determined to get our grey water recycling to the point where our house is independent of municipal water. To get us started, I have started making all our own cleaning products. All the cleaning products are made with items that I can either buy at Pick n Pay or at Metro. All the items are either food stuffs or items that are natural products. I paid attention the last few days how much water just gets emptied down the drain from our washing machine and dishwasher – all water which we could reuse. I got one step closer last night by explaining to my hubby that not only am I terrified of our first water account, but I’m sure we have exceeded the allowance and we’ll pay penalties. So with Mark on board, hopefully we will be that much closer to not only reusing water but also saving money and teaching our boys to be more aware. April 23, 2010 · Filed under Bargins for Sale! Reconditioned HD60H monopump R5700.00, excellent value for money! Excludes transportation, postage & packaging. The all-in-one design (nappy, liner and waterproof so no separate time-wasting procedures when fitting) has wide-band Velcro for a snug fit; smart-fit tabs which stop the Velcro picking up lint during washing; multi-padding with hemp for super absorbency and breathable fun-coloured outers. (Also white for more conventional mums!) Available in Blue, Yellow, Red, White & Pink. 2. The hemp used in the removable ‘Booster Pad’ does all the hard work of the nappy. So, instead of the waterproof doing the hard work (which it does in other cloth nappies), this pad absorbs all the wetness, wicking it away from babies skin. Hemp is recognized as one of the world’s strongest natural fibres – the more you wash it – the more absorbent it becomes! It also has anti-bacterial qualities and uses no pesticides in its growth. As the hemp is so absorbent, it means that the Super-Slim Bio-Baba is not bulky and dries well. 3. You will be saving a great deal of money – Considering that a baby will on average have 5,500 nappy changes, that equates to between R 12,000 and R 15,000. By using the Bio-Baba nappy you could easily save R10 000 (including water, electricity and detergent for washing). 4. You will also be saving time which comes at a premium these days! Because of the all-in-one design of the super-absorbent nappy, you will not spend ages fitting it together and will also need fewer nappy changes because of the super-absorbent hemp. 5. There are numerous health issues: the first is the use of Sodium polyacrylate gel can absorb 100 times its weight in liquid and makes for a very absorbent nappy! However, it has been linked to Toxic Shock Syndrome in tampon use and is no longer used in their manufacture. It is still used in disposables. Also, the lack of padding in disposable nappies is considered a hazard when baby is learning to walk and falling on his/her bottom on a regular basis. Some paediatric specialists believe that the increase in hip dysplasia and other spinal injuries is related to the lack of padding and support provided by disposables. Extra padding in the Bio-Baba nappies reduces this risk. Disposable nappies are the world’s 3rd biggest waste contributor behind newspapers at No.1 and containers/packaging for food. Your household is no different… approx. 350 million are thrown away annually in SA, 9 million a day in the UK and 20 billion a year in the US and Canada…they do not bio-degrade! 7. Comfort – The Bio-Baba nappy is extremely comfortable. You will simply not find a better cloth nappy; they have been specifically designed to wick moisture away from the babies’ skin, meaning that even though the baby may have an extremely wet nappy, the baby itself is dry. Moreover, careful fabric choices such as soft 100% cotton, hemp with anti-bacterial qualities and breathable outers have been used to ensure maximum comfort. 8. Toilet Training – children in real nappies DO toilet train, on average, around 6 months earlier than their peers in disposables: a child in real nappies knows when they are wet, and so makes the connection between bladder release and a wet nappy. It is this which is the vital first step in toilet training. Bio-Baba nappies are excellent nappies for potty training. 9. Bio-Baba nappies come in fun bright primary colours; Red, Blue and Yellow as well as a white. The best teaching moments are ones that aren’t planned – choosing a different colour nappy is a great way for toddlers to get to grips with their colours. This also means that you do not have to wear anything over the ‘Eco-Chic’ Bio-Baba as the nappies look extremely cool just on their own! 10. Employment – one of the biggest problems faced by South Africa today is a lack of employment. We often have highly skilled, highly educated people unable to find work. Bio-Baba nappies provide work for the communities of Grassy Park, Lotus River, Athlone and Bonteheuwel. They are not cheap imports and are made with the finest quality South African fabrics. Bio-Baba You Can Do It! Many people know they want to use alternatives to disposables but are put off by the lack of practical information about exactly how to use them: how many they need, how often to wash them, what to do with a nappy bin etc. I would like to give you a brief overview here; with the rest of the information downloadable from the web. All Bio-Baba nappies come with Swing Tickets with full fitting, washing & care instructions. The short answer is “ 12 Bio-Baba nappies of each size” (Medium 6-9.5kg suitable from approx 3 months to a year….Large 10kg-16kg suitable from approx a year to potty training). This means that you will have enough nappies to last you for 2 days, with some being washed whilst the others are being used. Bio-Baba’s have a handy ‘flip-out flap’ which allows you to hold the nappy whilst you flush the good stuff down the loo. Then put in the nappy bucket to soak as usual. WHAT DO I USE TO DISINFECT THEM? Do NOT use Steri-nappy or any other bleach based product…in addition to destroying the special breathable waterproofing, bleach is incredibly bad for the environment, as it kills all bacteria (good & bad) & life in the water system. We recommend using Bio-Baba Nappy Soak (R39)…a really great product that uses the power of essential oils to disinfect the nappies or a few drops on tea tree oil in a lidded bucket. You can also use white vinegar, but this is a bit pongy! WHAT DO I WASH THEM WITH? Do not use any products containing bleach, petro-chemically derived soap products or strong detergents to wash your nappies as this will destroy the special waterproofing fabric and radically reduce their life-span. We recommend using an eco-friendly laundry gel or powder. (Eco-soft or Sunlight Baby) as they are mild enough not to irritate babies skin or do serious environmental damage. HOW OFTEN DO I NEED TO WASH THEM? We recommend changing your soaking solution at least every 2 days. What this means in practical terms is doing a ‘nappy wash’ Monday, Wednesday & Friday…if you have domestic help on these days – that’s an added bonus! CAN I USE BIO-BABAS AT NIGHT? Bio-Baba nappies are EXCELLENT NIGHT NAPPIES. In order to get into a ‘Complete Bio-Baba System’ including using a Bio-Baba’s at night you will need 15 nappies (take aadvantage of the Complete System Specials)… You would then fit the nappy as usual, folding the hemp pad into the ‘famous “V” fold’ AND insert an extra pad into the flip our flap. This will provide the extra absorbency needed to keep baby dry at night. CAN I USE BIO-BABAS AS A SWIM NAPPY? Yes! These are great nappies for the beach and by the swimming pool…they do not get all hot and clammy like a disposable and come in such vibrant trendy colours that your baby will be the coolest baba in town! Do remember to remove the Hemp Booster Pad before going in the water though – we don’t want to absorb the whole pool! The nappy has been fitted too loosely: What I do is a ‘One leg at a time approach’. Place the nappy under the baby’s bum as per the “Fitting instructions” available on the web THEN, pull the elastic of the right leg straight up to 2 ‘o clock and close the right tab. Then, pull the elastic of the left hand side of the nappy straight up to 10 ‘o clock and then close the left tab. It is absolutely vital that there are NO GAPS underneath the legs after the ‘smart-fit’ tabs have been closed. Finally, check that all the flannel has been tucked in and that the edges are straight and comfortably protecting from the Velcro. The nappy has been left on for too long: It is impossible to set a blanket recommendation for changing times as each child is different and poos and wees at different times with varying impressiveness! I really encourage mothers to become aware of their baby’s unique rhythm. That said, babies in the Medium nappies should happily stay dry for between 2-3hours in the day, and a little longer at night. Children in the Large nappies will need to be changed after they wee, (as they are doing much larger wees), and be encouraged to toilet train. The waterproofing on Bio-Baba nappies is NOT PVC which is designed to lock all wetness in, making for a very wet-skinned uncomfortable baby who will wake up and cry. We have used a breathable fabric to ensure that baby is as comfortable as possible and that you know when baby is due for a change (thereby avoiding nappy rashes). Once you get to grips with your baby’s rhythm, you will be able to pre-empt any dampness and change beforehand. Take note of when you put the nappy on. Insertable hemp ‘Booster Pad’ has not been washed enough: The Bio-Baba nappy is designed specifically to wick moisture away from the baby’s skin with the hemp used in the removable ‘Booster Pad’ doing all the hard work of the nappy. If this pad has not been washed several times before use (AT LEAST twice), then it will not be operating at its full absorbency. Remember, the more your wash it, the more absorbent it becomes. The hemp ‘Booster Pad’ is the backbone of the nappy…use it smartly. Where does your baby get the most wet? Usually boys wet higher up as their ‘equipment’ is higher than girls! Girls tend to wee straight downwards with great force, and boys might aim straight for your eye, so make sure the hose is pointing down when the nappy is fitted. You can give your nappy extra support by folding the ‘Booster Pad’ double in a “V” shape and placing it on-top of the ‘danger zone’ with the “V” protecting leaking at the edge of the nappy along the legs. Again, work with your own baby. If you do fold the pad double, ensure that you do not let it interfere with the fit of the nappy. It’s something you don’t notice when a child is in disposables, but you certainly do once they are in real nappies. In my experience, however, most people think their child is a heavy wetter. Personally, I just think we don’t really appreciate the liquid in = liquid out equation while a child is in disposables. Remember that wet nappies are a GOOD thing, in that they indicate that your child is well. The problem comes when the wetness turns into leaks. Are they simply drinking too much? If you always provide juice, toddlers will frequently gulp it down and then ask for more, which will have the obvious effect on the bladder. As they approach toilet training they will no longer be doing lots of little wees which are easily absorbed, but will be doing occasional full wees. Any nappy, including a disposable, is going to be hard pushed to absorb these quickly enough if liquid intake is excessive. A good tip is to offer juice only at mealtimes, and to provide water at other times during the day: your child will drink if (s)he is thirsty but not for the sake of it. You will also be cutting down on your child’s sugar intake, which is a good thing, especially if you have a hyper child. Keep in mind that you are using a cloth nappy that contains no chemicals to absorb urine and turn it into a non-biodegradable gel. You are using high quality fabrics that can be washed over and over. You have chosen to use a great nappy that is eco-friendly and much cheaper than disposable alternatives. Take the time to get the fit right and you won’t look back! Bio-Baba – Local is Lekker! recently Bio-Baba joined our Supporters Group – a very BIG thank you to Vicki for her support. Bio-Baba is supporting our drive to educate parents on the impact of disposables, not only financially but ecologically as well. So here’s to greening your education about the nappies you use! Since starting Bio-Baba nappies 5 years ago, I have been pleased to see a radical shift in thinking towards the inclusion of cloth nappies in a nappy routine. Originally, when people discovered that they had to wash them, they simply were not interested and stopped listening to reasons why it was a good idea, citing lack of time or sheer disinterest in ‘someone else’s problem’ as the basis for not wanting to go the ‘eco-route’. So are South African parents really prepared to make a change? Do the rich and affluent still suffer from ‘affluenza’ – a sickness where you believe that because you are successful and can afford to buy and throw away as much as you like, environmental concerns have nothing to do with you? You have to ask yourself – do you have to change a babies’ nappy? Obviously you do, (this is where the design of the cloth nappy you choose really comes into the equation), so if you use a super absorbent all-in-one hemp nappy like Bio-Baba, it is just as easy to fit as a disposable; it is also just as effective as you only have to change after 3hours and, with extra hemp boosters, it can effectively be used for a ‘sleep through’ night! Okay … so it is easy to fit … is just as effective as a disposable (with no chemicals) … but what about the washing? For a start you will not be washing as many nappies if you use Bio-Babas since their added absorbency means you will not be changing as often; so washing is done every second day. If you have a washing machine, not to mention any form of domestic help, then this is simply no excuse! This is possibly one of the most illogical excuses since if you have a child in disposables for a 2½ year period (6000 nappy changes) then you will be spending (at today’s prices), between R12 000 and R15 000 for the sake of convenience. If you use Bio-Baba nappies (including at night), you could save up to R10 000 over this time! The catch is that you have to buy and pay for them all at once, which is seen as a convenient excuse – ‘why I can’t so I don’t’. However, since Bio-Babas can be conveniently paid over several months on credit card … this simply doesn’t make sense. I once had one of my well educated friends tell me that her mother-in-law had refused to use Bio-Baba nappies as she considered herself ‘above that sort of thing’. Her actual comment was that she was going to ‘let the next generation worry about it’! Well, what can you say to that? Ironically, she was an incredibly caring and attentive grandmother who had taken on the responsibility of looking after baby when my friend returned to work … she just seemed unable to make the connection between her choices and the future of her grandson. If you have a baby in disposable nappies your household waste doubles! Many municipalities in South Africa are facing major landfill airspace crises…for example – out of 6 sites in Cape Town – now only 3 remain; Bellville, which will close in approx. 2013, Coastal Park in approx. 2022 and Vissershoek in about 2017. Waste in South Africa is currently growing at 5% faster than the population growth…where are we going to put our waste is a very serious question. In other countries they have been dumping in the sea and as a result have created huge ‘dead zones’ where nothing except giant jelly fish (who can live without oxygen for extended periods of time) can thrive. This is particularly alarming since approx. 90% of the world’s oxygen comes from the sea! Nappies are classified as medical waste and should be incinerated – however individual municipalities in South Africa do not have the resources to do this; it is actually illegal for health reasons to dispose of human faecal matter in municipal bins, but nobody I know flushes what their child does in a disposable down the toilet before throwing it away. This poses a health and environmental threat as there is danger of the leaching of live viruses (given in the form of vaccination to babies) from landfills where disposables are dumped into our water system. We have just had a recent wave of mysterious baby deaths from contaminated water in the Eastern Cape … you have to wonder? I have found that this is not true … without exception, the people who run crèches are more than willing to use something that is just as easy to fit and change as a disposable, especially when the parent takes the time to explain that they are changing to Bio-Babas for financial and environmental reasons. In a country where people are working to sustain themselves, very often for less than R2000 a month, it is not only an environmental, but a social injustice too that some of them are spending as much as a third of their salaries on disposable nappies and childcare! Children really do live what they learn … I encourage all parents to choose a sustainable future for their baby by incorporating a cost-effective and easy to use cloth nappy like Bio-Baba into their nappy routines; limit disposable use to holidays and emergencies … use cloth nappies around the house, when visiting friends and at crèche. Future generations depend on us; the time is NOW – we all can make a difference! Recycling of home materials may seem a bit daunting at first – but never fear…if my 3-year-old can do it, so can you. Here are a few guidelines to help you get started. I got this info from www.sustainable.co.za which offers containers for recycling. If like me, you don’t have the cash to buy these nice containers then use a cardboard box or any container you can get your hands on. Just mind broken glass and other breakables. 2. 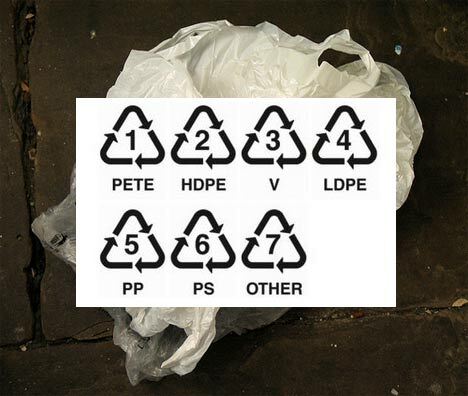 Only certain types of plastic can be recycled, plastic #5, which is used in packaging for margarine, yoghurt and vitamins and is also used in bottle tops, is very difficult to recycle, so it is better to keep them for reuse. 5. 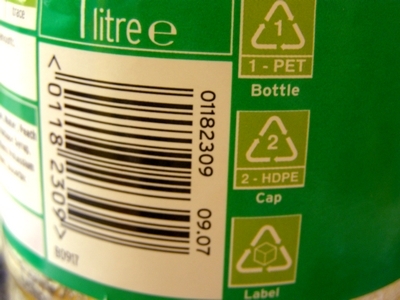 Aerosol cans, can also be recycled, but it’s necessary to keep the separate from other recycling materials and to leave the labels on so that the contents are easily discernible. Lids should also be left in place.